ZTE's troubles as of late have been well documented. Following a substantial fine and a complete removal of the senior staff from SVP and above, the company is now allowed to continue selling in the US and receiving US technology, meaning it can once again focus on its product portfolio. 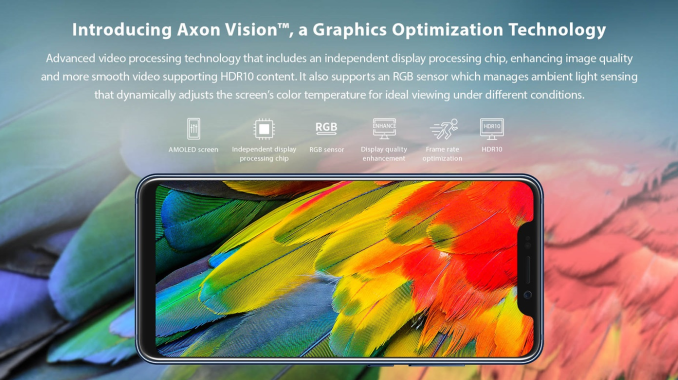 With the upheaval, new and exciting devices from R&D like the dual-screen Axon M are getting put on the back burner, while the company focuses on more mainstream devices like its new Axon 9 Pro that was launched at IFA. 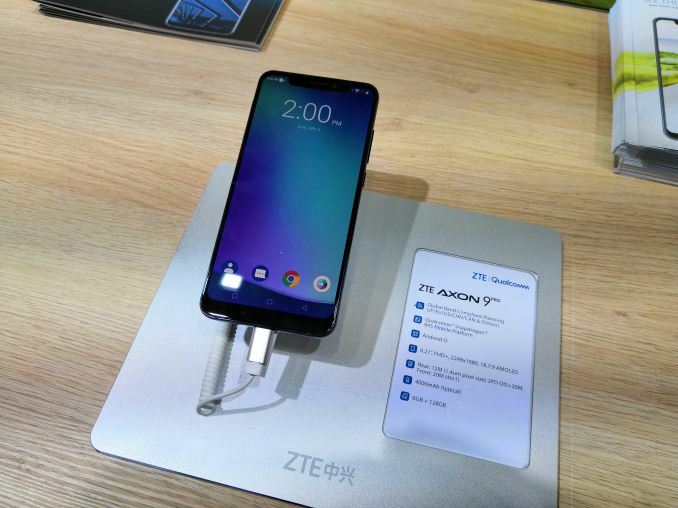 We were told by our rep that ZTE was aiming to be one of the first vendors with an S845 device in market, but the situation caused a big delay. The company then subsequently waited another six weeks after the resolution to launch the Axon 9 Pro. This way, we were told, the story would focus more on the device than the other issues if they had announced it immediately. Prior to the issues with the US, ZTE was a company proud of its ability to implement new features and technology into its devices. Two years ago at IFA, for example, smartphone OIS stability was a key feature in a lot of booths, including ZTE. This year, with the Axon 9 Pro, the focal points are on the display, the audio, and the video playback capabilities. The device uses an OLED display, supplemented with a Pixelworks chip designed to enhance the color depth of content as well as automatically interpolate video to 60 FPS. For color, an additional RGB sensor is on the front of the device to help examine the environment and adjust the picture for the best clarity. ZTE knows this is not new – our representative states that features like this have been in TVs for a while, however it's never been in smartphones (we’ve seen it in some tablets). This means that any video that is 25/30 FPS will automatically be ‘upscaled’ to 50/60 FPS without the user having to do anything. Games stuck at 30 FPS will also get the treatment, although the requirements are a bit stricter for this. Also present is Dolby Atmos certified audio, which ZTE is keen to promote. The Axon 9 Pro has a 6.21-inch 2248x1080 OLED display, and is powered by Qualcomm’s Snapdragon 845 SoC. It will only be offered in one combination of 6 GB of DRAM and 128 GB of storage, and comes with a 4000 mAh battery. It has two rear cameras (20MP+12MP) with OIS, and a front camera (20MP). The fingerprint sensor is on the rear, and it is worth noting that there is no 3.5mm jack. It will be shipping with Android 8.x Oreo. The device is also rated to IP68. 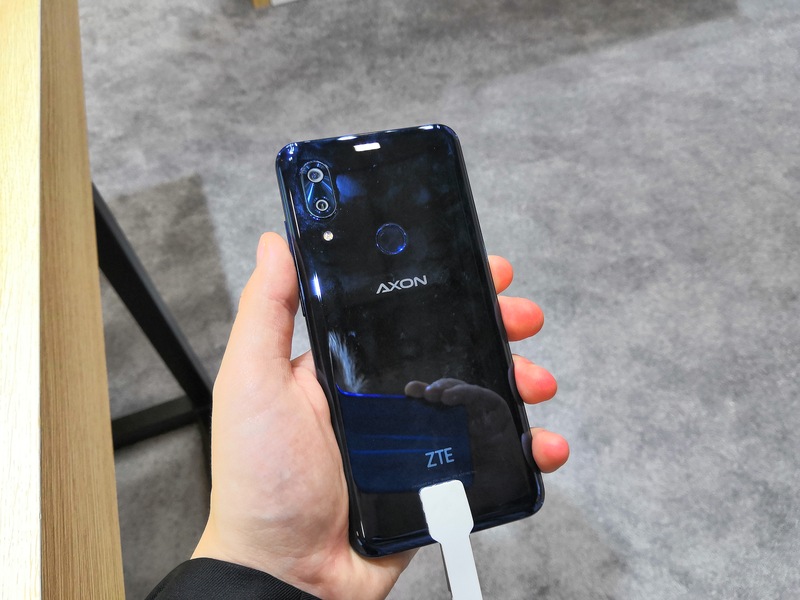 From a hands-on level, the device is certainly designed to feel good to hold, and from the specifications ZTE is aiming squarely at the high-end with this device. The combination of a large OLED display, high-end SoC, lots of DRAM and Storage, a large battery, and the Pixelworks technology are reflected in the price: 649 Euro for Germany, coming at the end of September. Other markets in the EU and Asia will be following shortly after. 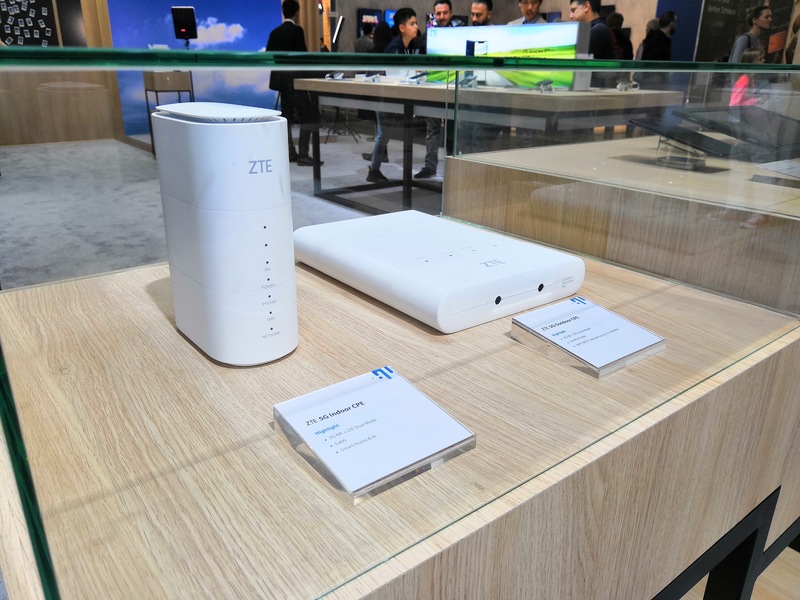 There was also a display regarding 5G at the ZTE booth. These were simply mockups about 5G-like devices, such as home and business access points, but ZTE were keen to state that they have a deep commitment to 5G and the infrastructure. 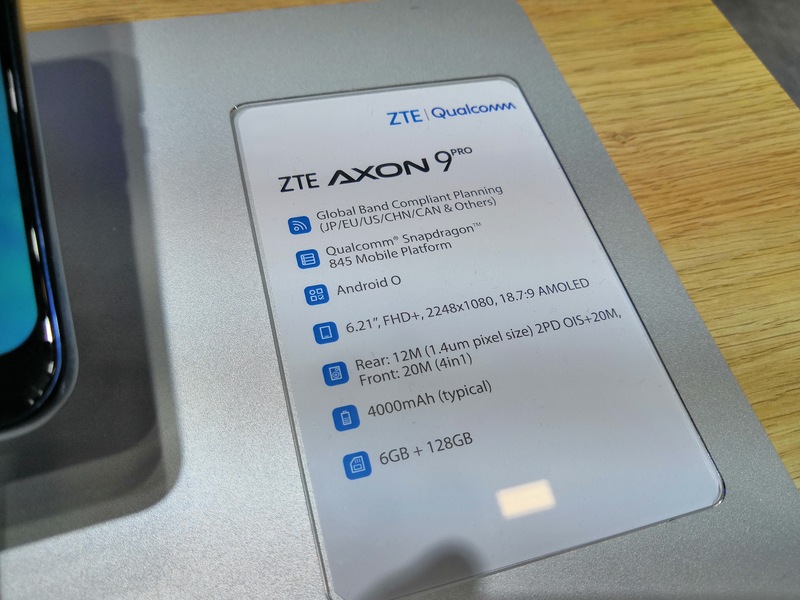 ZTE stated that they are primarily partnering with Qualcomm for 5G. ZTE is dead not back. They destroyed everything what made Axon 7 rival to Oneplus 3. -added notch on top if it, removed the headphone jack. Extravagant pricing vs Axon 7's ($400), with iPhone wannabe BS design at back and all the above. I actually bought my axon 7 this year as it is still hard to beat at € 300.
as for the speaker grills they are plastic. Personally this phone turned dual front speakers into a must. I never want to go back to the crap other phones use where you can easily block the speakers and the sound comes from one side. While also sounding worse in general. a speaker behind the screen can possibly also work though. Oh, I just tried at BestBuy not much time to try that out so I thought they are metal. Looks like except HTC M7 no phone has metal laser drilled holes for FF speakers. Too big, ZTE... Try again and be more original next time, please.